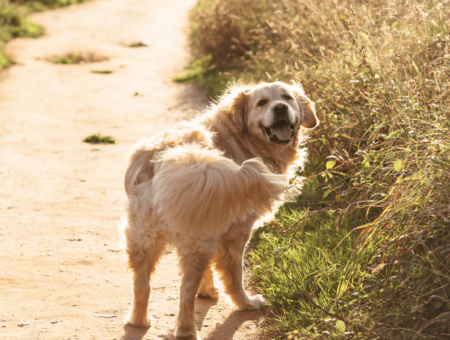 Walking holidays are twice as enjoyable when accompanied by a wagging tail or two. Dogs have a great way of enhancing our own appreciation of the simple things in life, like fresh air and exercise, a cosy and comfortable place to rest, or quality time with a loved one. 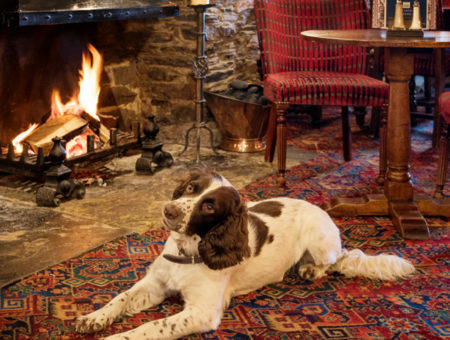 We’ve picked out six dog-friendly properties ideal for dog-owning couples, friends or small families. Appreciate the natural beauty of our coastline and countryside with your four-legged friend in tow, returning after your walks to a comfortable home from home on the very doorstep of your route. Right on the South West Coast Path at Hallsands, this VisitEngland Four Star Gold-awarded property offers stunning views and very comfortable accommodation, which is ideal for couples looking for a cosy bolthole from which to explore the area. The dog-friendly beach at Hallsands is ruggedly charming, peaceful and in the perfect spot for exploring the many paths and dog-friendly beaches located in and around Start Bay. One option is to walk south to Start Point, with its iconic lighthouse, and further onto the remote dog-friendly beaches of Mattiscombe and Lannacombe. You can also make your way north to the expansive beaches of Beesands and Slapton Sands, both of which are dog-friendly, to tackle several inland circular routes such as this outstanding Start Bay walk. A ball’s throw from dog-friendly Slapton Sands, this stylish ground-floor apartment (VisitEngland Five Star) is very well equipped and attractively furnished, making a fantastic base for couples and young families with a four-legged friend. Just a 1-2 minute walk away, there are all the facilities of Torcross: a popular pub, two cafés and a shop/post office. From this property, there are three miles of fine-shingle beach to explore to the north, while in the other direction Beesands and Hallsands are also in easy reach on foot. 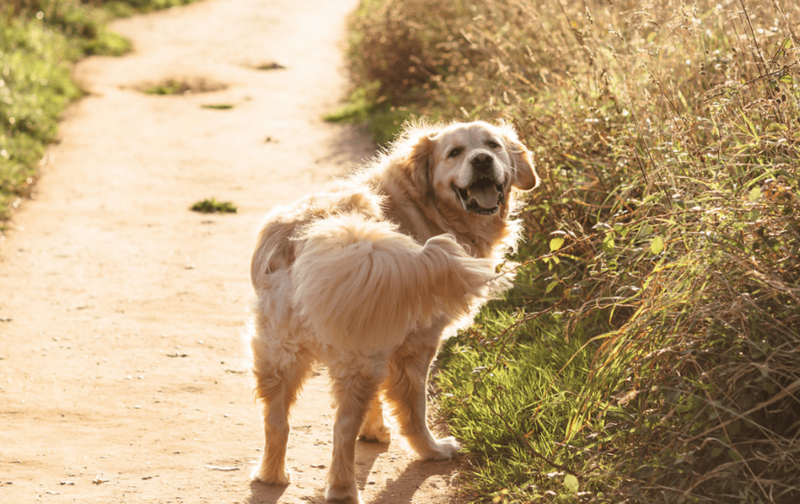 Dogs on leads are also welcome at the Slapton Ley National Nature Reserve, where you’ll find the largest natural freshwater lake in the South West. Why not leave your car in its allocated parking space and discover Start Bay on foot with your four-legged friend? There are three stunningly-situated dog-friendly apartments in this marine development, so named because of the unbeatable views of Thurlestone Rock – an arch-shaped rock formation just out to sea. Those bringing dogs can choose from apartments 1, 3 and 4 (all VisitEngland Four Star standard), which offer direct access to South Milton Sands’ dog-friendly beach. These three-bedroom properties can’t be beaten for location for those looking to get to know the South Devon coastline. Discover the atmospheric former smugglers’ haunt of Hope Cove, enjoy breathtaking views of Burgh Island, explore Thurlestone Sands and Bantham Beach, and trek along the Avon Valley, all without needing to get back in the car. In a quiet, picturesque location close to Batson Creek, Orchard Barn makes a comfortable base for those looking to explore Salcombe (a 15-minute walk away) and the Salcombe-Kingsbridge Estuary, with beautiful nearby spots such as Snapes Point to discover. This VisitEngland Three Star-awarded property has three bedrooms (one en-suite), a rear courtyard garden and parking for up to three cars – great if you’re looking to travel further afield. This charming former fisherman’s cottage sits on the waterfront at Dittisham harbour, offering stunning views across the River Dart to the wooded banks of Greenway Quay. A stone’s throw from a popular pub, the Ferry Boat Inn, and an Anchorstone Café famous for seafood, Berry Cottage is perfect for a relaxed holiday. The accommodation more than lives up the location, with VisitEngland Five Star standard furnishings and equipment, including a woodburner in the delightful, cosy sitting room. From Dittisham you’ll have direct access to the Dart Valley Trail. Why not walk through the beautiful Raleigh Estate to Dartmouth, or cross the river on the tiny passenger ferry to Greenway? There you can explore the former home of Dame Agatha Christie or walk along the river to Kingswear, home to the Dartmouth Steam Railway. Take the ferry from Kingswear to Dartmouth to turn it into an unforgettable circular route. This delightful cosy cottage (VisitEngland Three Star Gold), located in the heart of East Portlemouth village, offers comfortable accommodation and magnificent views of the Salcombe-Kingsbridge Estuary. The lovely open fire in the sitting room is ideal for warming your cockles after autumnal or winter walks, both for human and canine guests. The sandy, dog-friendly beaches of East Portlemouth and Mill Bay are a 10-minute downhill walk away, and from there you can join the South West Coast Path to choose from an array of enticing trails. How about a manageable circular walk to Gara Rock beach, or a longer walk as far as Prawle Point where you can enjoy some of South Devon’s most rugged scenery? There’s no need for your four-legged friend to miss out on the fun of your next holiday. 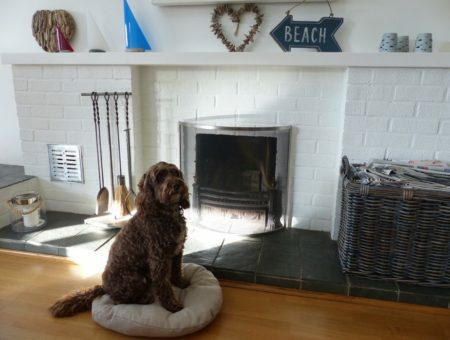 See all our dog-friendly holiday homes in South Devon today.